Here’s a short post on a fun Thanksgiving treat for your family get-together next week, because who could turn down cookies, even if there is pie? 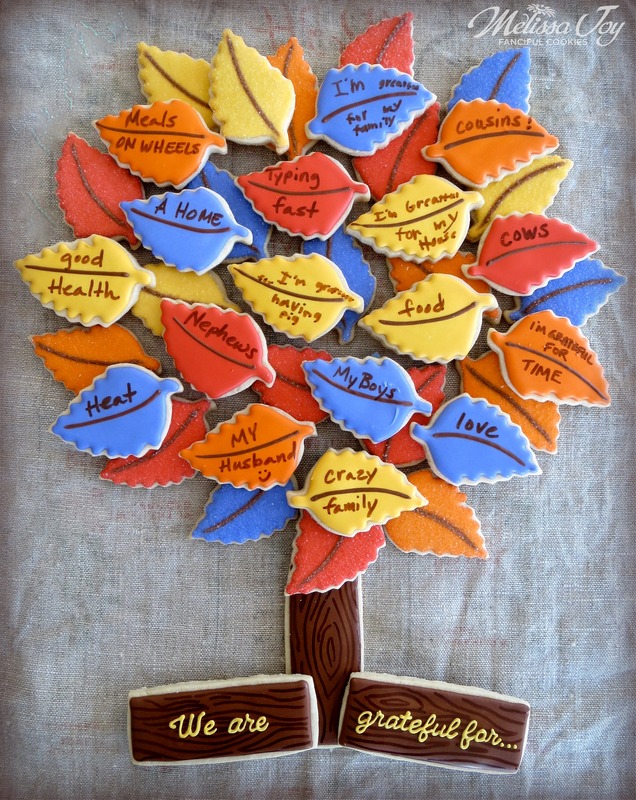 I put a little twist on the Gratitude Wreath Cookie I made last year with my kids, and created this Gratitude Tree platter. 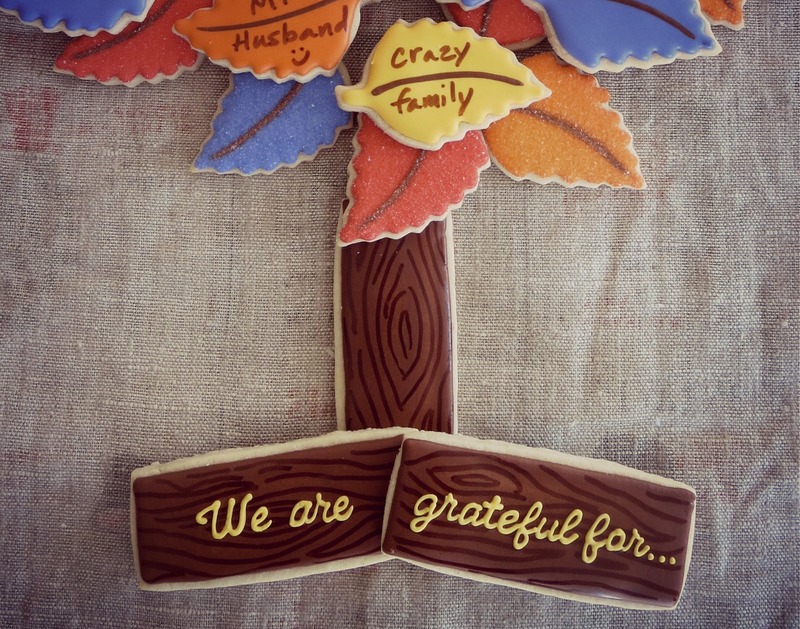 It’s sort of like a family tree…the family shares their gratefulness on the cookies and then said family eats them. I came up with the idea from inspiration by CookieCrazie and her Autumn Tree set (which is amazing! ), and that reminded me of the flowering tree platter I made last spring for Earth Day. See how the cookie ideas sort of influence one another and morph into something new? It’s hard to keep track of who originally came up with what, but in the end, it’s all really just deliciousness anyway. to go with the smooth iced leaves, ready for messages of gratitude. Use a food writer and gather the gang around to pen their notes of thanks. I added a tree trunk, and the extra cookies were practice for piping letters with my new KopyKake. I love that machine. I’ve named her Mabel, if you’d like to know. We will have a wonderful Christmas together, me and Mabel. Build your platter like so, bask in the abundance of thanks, and share with those around you. Have a wonderful Thanksgiving of gratitude! 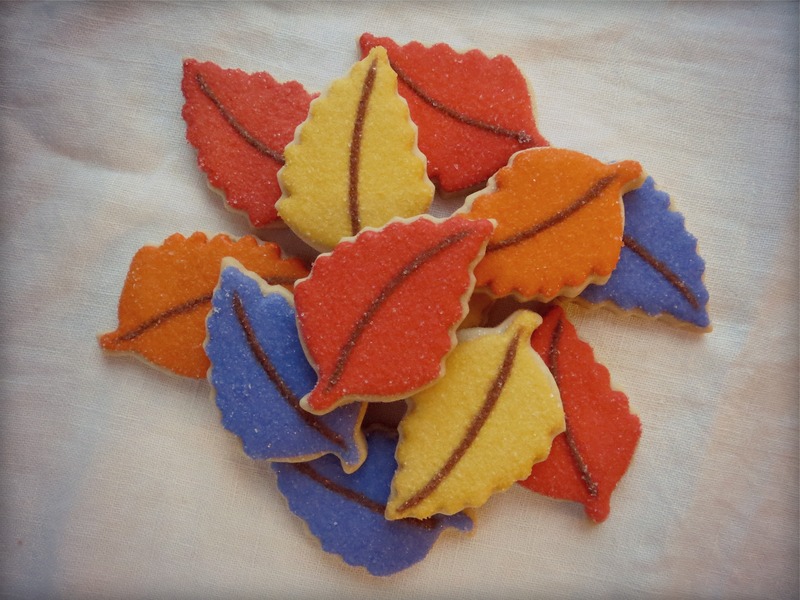 This entry was posted in Cookies for Kids, Fall Cookies, Giving Thanks Cookies, Thanksgiving Cookies and tagged leaf cookies, Thanksgiving day, Thanksgiving Treats, Tree Cookie Platter. Bookmark the permalink. ← Easy Ghost and Mummy Cookies for Halloween! Aw thanks Katy! Do one set this year, and one the next… Or make the tree, and when it starts to get sparse, reconfigure it into the wreath! 🙂 Have a great holiday! I hope Mabel is able to assist you in many happy ways this holiday! 🙂 Love the tree! We do this with paper as well but yours is much tastier! Who’s the pig guy? E? 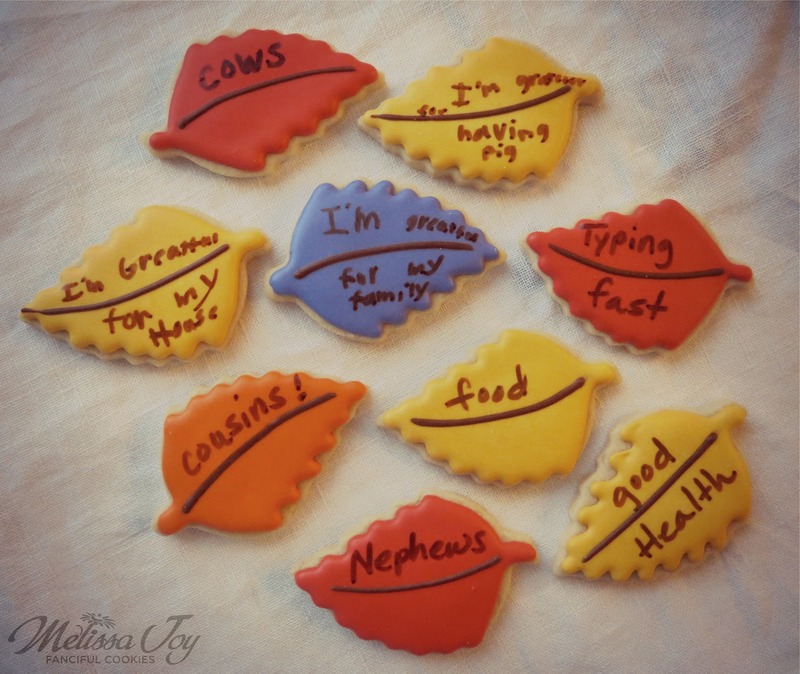 I noticed a gratitude cookie that just simply stated “Pig” in one of your FB posts. It brought a smile to my insides.